Beautiful pure wool felt, 1mm thick pieces (20cm X 30cm), ideal for small projects. 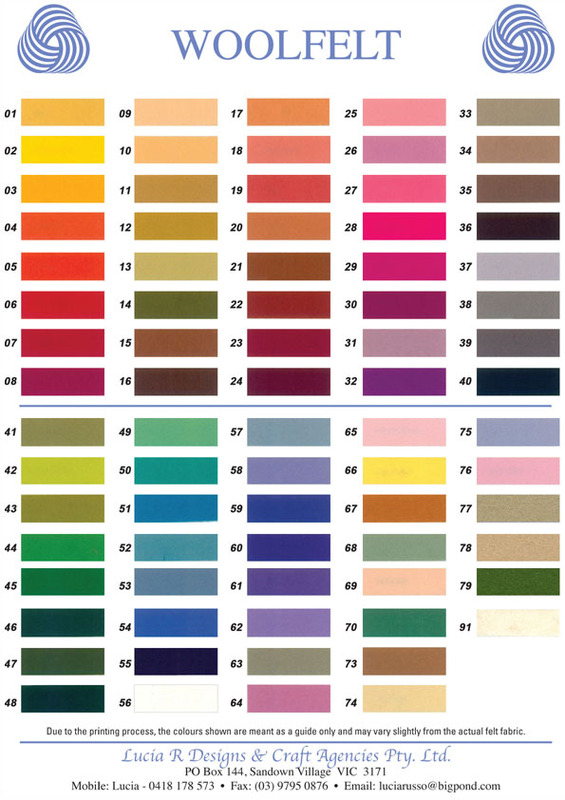 78 wonderful colours in the range. All colours are available by the metre (183cm wide) by special order only, please email for price and approximate delivery time!